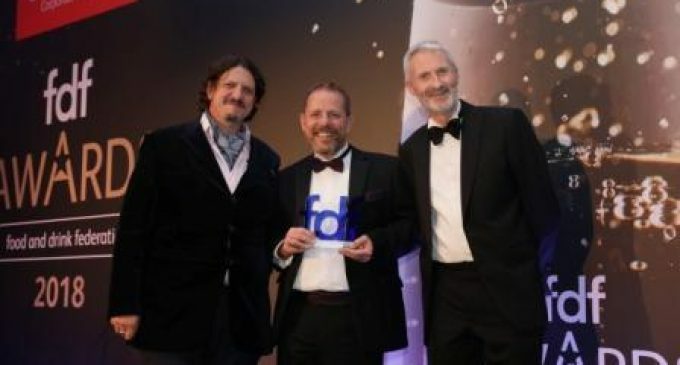 Food allergen specialist Simon Flanagan took the top spot in the prestigious Scientist of the Year category at this year’s Food & Drink Federation awards ceremony. With a long-standing career specialising in allergen risk assessment and management, Simon Flanagan – head of food safety and quality at Reading Scientific Services Ltd (RSSL) – successfully demonstrated his exceptional contribution to food and drink science. Commenting on his win, Simon Flanagan said: “It is an honour to receive this award – particularly in view of the strong competition in this field. Food allergens is one of the most important issues facing the food industry today, so it is vitally important that we, as scientists, continue to work with manufacturers to establish robust management systems and policies. Simon Flanagan was the first to develop a methodology for quantitative allergen risk assessment. Adopted by Food and Drink Europe (FDE) and the foundation of RSSL’s allergen consultancy and training programmes, it has since been widely accepted as industry best practice. Keen to inspire the next generation of scientists, he also led the creation of a comprehensive mentoring programme at RSSL which has recently been rolled out to the wider Mondelēz International organisation. With strong links to numerous trade, industry and academic bodies, as well as a string of industry awards under his belt, Flanagan is a well-respected industry figure. The Scientist of the Year win was the climax of a highly successful awards evening for RSSL. Individual nominations were picked up by technical specialist, Rob Griffiths, further boosting the team’s scientific credentials by featuring alongside Simon Flanagan in the Scientist of the Year category. In addition, the organisation’s commitment to a local youth counselling charity and science outreach programme saw it shortlisted for Community Partner and Education Initiative respectively. “We are naturally proud to receive industry recognition for so many different aspects of our work. The aim has always been to support and encourage every employee to pursue a fulfilling and intellectually-challenging career, while also giving back to the community. By providing a well-balanced working environment in this way, we aim to ensure that RSSL continues to play a key role in the success of the food industry – both now and in the future,” said Jacinta George, managing director for RSSL. Judged by a panel of industry experts, the Scientist of the Year award win was announced at the FDF Awards evening in London, which was attended by around 500 guests from across the UK food and drink industry.